We use Shockwave Therapy to treat various conditions of the feet and lower limb in particular chronic Plantar Fasciitis and Achilles Tendinopathies. Our Podiatrist does shockwave therapy at our Bilinga, Gold Coast clinic located at Southern Cross University. This handy modality is used to treat chronic plantar fasciitis and Achilles Tendinopathies. 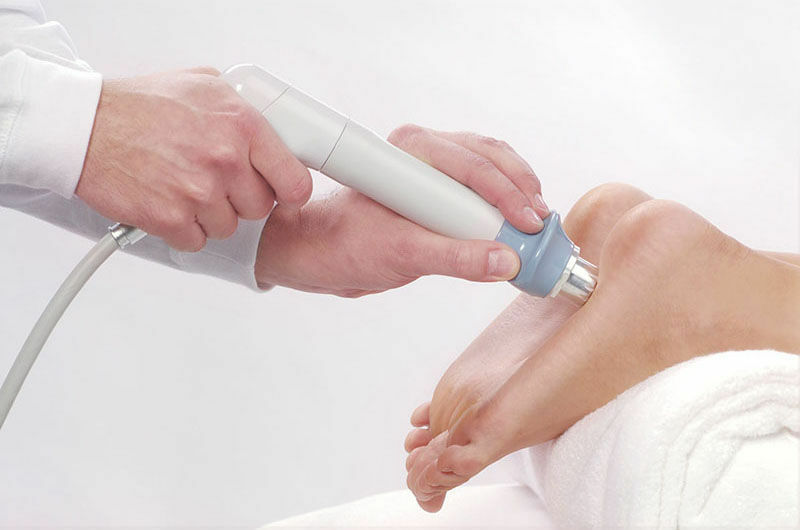 Shockwave Therapy is the use of shockwaves to treat various joint, muscle and tendon conditions through out the body. A shockwave is an intense, short energy wave that travels faster than the speed of sound and when applied to areas of pain it is thought to stimulate an increase in blood flow and stimulate an inflammatory response which promotes faster healing times.